If you are using Kubernetes on Mesosphere DC/OS you can find that our default configuration does not provide all the metrics and the information out of the box. 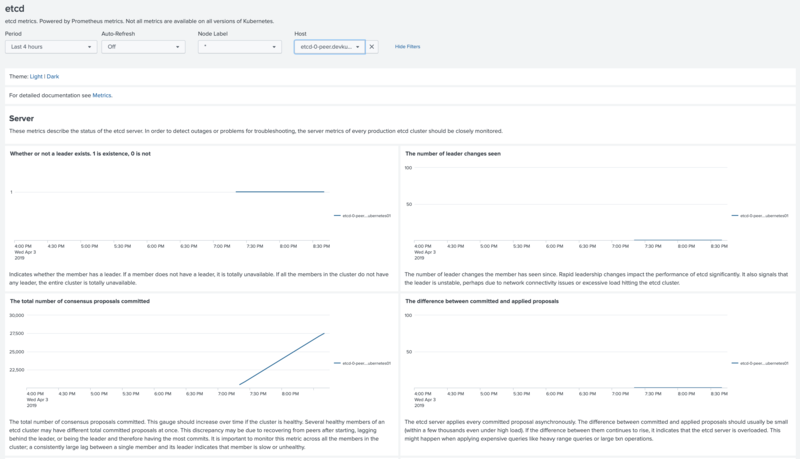 In this blog post we will guide you though all the configuration changes to get all the information you need to monitor the health of your clusters and performance of your applications. We used Quickstart guide for Kubernetes on DC/OS on AWS as an example. If you run the troubleshooting command verify on one of the collectorforkubernetes Pods you can find that it fails to find the cgroups for the Pods and Containers. drwxr-xr-x. 13 root root 340 Apr  3 22:48 .
drwxr-xr-x. 7 root root   0 Apr  3 22:48 ..
After lowering the CPU, apply the configuration and you should see now that the Pods from the collectorforkubernetes-master are scheduled on the master nodes. To be able to monitor etcd cluster with our application Monitoring Kubernetes for Splunk Enterprise and Splunk Cloud you need to retrieve etcd certificates from the Kubernetes API pod, and modify the configuration of the collectorforkubernetes.yaml. kubectl cp --namespace kube-system kube-apiserver-kube-control-plane-0-instance.devkubernetes01.mesos:/data/ca-crt.pem . kubectl cp --namespace kube-system kube-apiserver-kube-control-plane-0-instance.devkubernetes01.mesos:/data/kube-apiserver-crt.pem . kubectl cp --namespace kube-system kube-apiserver-kube-control-plane-0-instance.devkubernetes01.mesos:/data/kube-apiserver-key.pem . Now you need to modify the collectorforkubernetes.yaml configuration. At first find the stanza [input.prometheus::etcd] and disable it with disabled=true. We use this configuration when etcd is deployed on the master nodes. 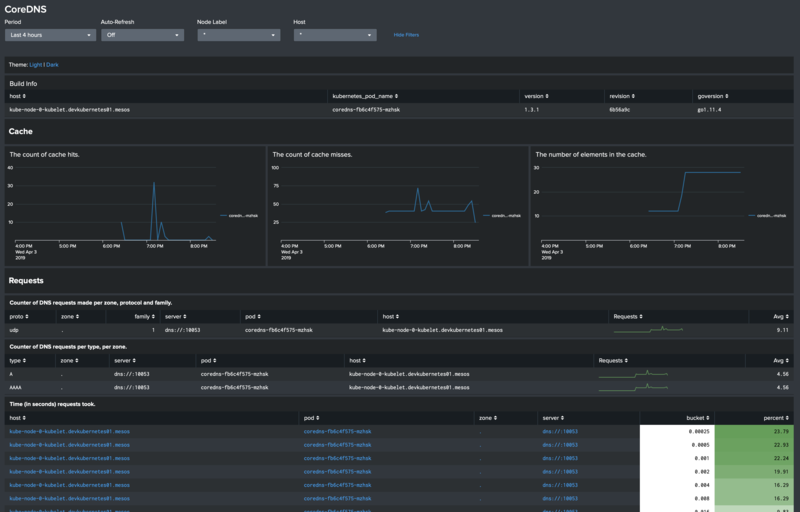 Now you have all the features of the Monitoring Kubernetes application, that will help you to monitor the health of the Kubernetes cluster and performance of your applications running on the Kubernetes clusters, deployed with Mesosphere DC/OS.